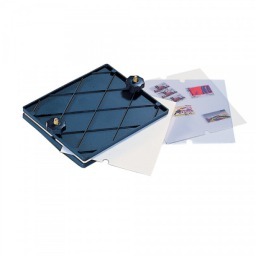 Manual Stamp Drying Press [SA-1040] - $39.96 : Potomac Supplies, offering everything stamp collectors need! The old drying book has seen it's day! Fast and easy way to press and dry stamps for same day use -- with better results than traditional drying methods. It has 55 square inches of pressing space. 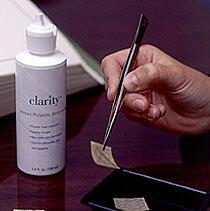 The blotter and vinyl sheets can be resused many times before needed replacing. Consistent results. 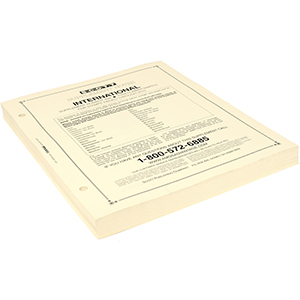 Top and bottom plates are 3/8" thick and made of impact-resistant plastic with two (2) pressure knobs. Includes twenty (20) blotting sheets and five (5) vinyl sheets (for gum side of stamps) to provide proper drying and flatten stamps. Rubber feet on base to protect tabletops.